Depression is a mood disorder characterized by the feelings of excessive tiredness, sadness, lifelessness, and apathy, accompanied by intense introversion and inferiority and a loss of interest in things. Truly speaking, it is a state of tamas, where the simplest task becomes daunting to a normally competent human being. It can help by stimulating the endocrine glands to secrete the required mood-elevating hormones. Best example, in this case, are backward bending asanas. It can further help by developing a balance between the two important energy channels Ida and Pingala so that neither the physical nor the mental faculty predominates. Nadi Shodhana Pranayama is the best for this. Some practices of Yoga can help by energizing the nerves and mental faculty of a depressed person. The best example here is Bhastrita and Kapal Bhati. While certain other practices in yoga can help bring the agitated mind of a depressed person in the calm state. 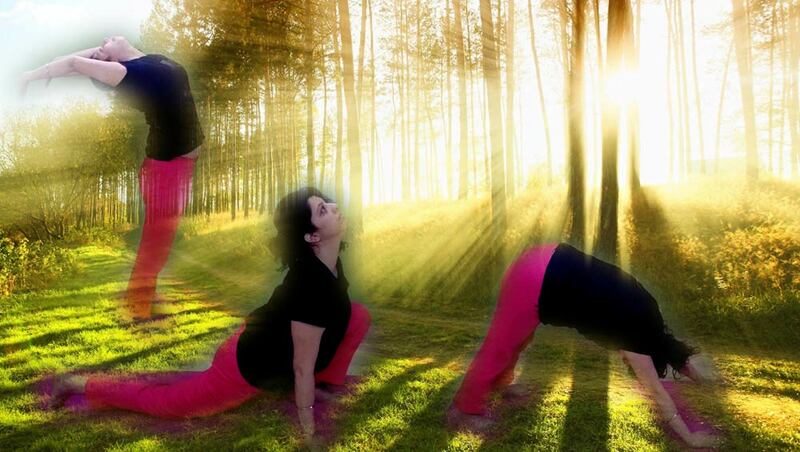 Bharmari Pranayama, Nadi Shodhana Pranayama and Yoga Nidra can be put in this category. Considering the above factors, we find that the best practices to deal with the depression can be Hatha Yoga Practices, which include Asana, Pranayama, Bandhas and Shatkarma practices. Here we discuss them step by step. To the Hatha Yoga practices is added Yoga Nidra, the best way to relax and energize the body. Alternate forward and backward bending in this dynamic group of asanas along with synchronized exhalation and inhalation respectively ensures that the practitioner breathes deeply and rhythmically encouraging the supply of fresh and oxygenated blood to the brain. It harmonizes the whole endocrinal system of glands and helps to remove any irregularities by directly massaging and increasing the blood flow to them. These two above factors make Surya Namaskar one of the best Yogic series in the management of depression. The intra-abdominal pressure is increased to a very high level by the practice of Bhujangasana which further tones up the whole abdominal viscera including the adrenal gland. The balanced secretion of its hormone, adrenaline is vital in managing the depression. In the final of Dhanurasana, the pancreas and the adrenal glands are toned, balancing their secretions. further, the circulation of fresh and oxygenated blood is promoted throughout the body including the brain. The nervous system is strengthened by the practice of Dhanurasana. 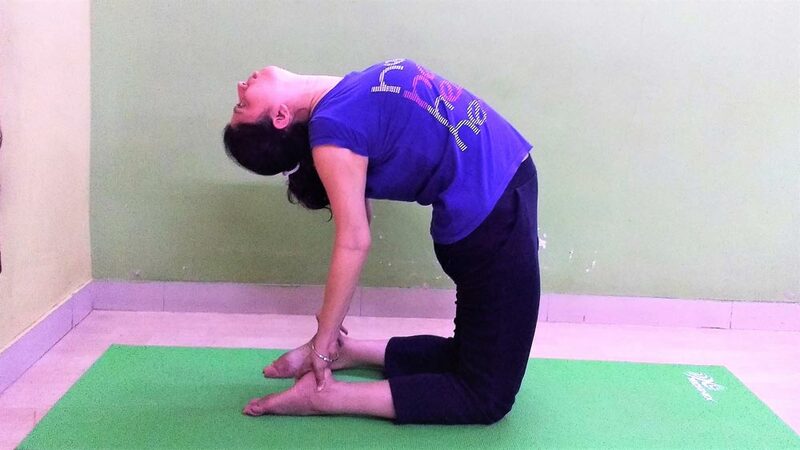 All these properties make this asana an important part of any Yogic management series of depression. Ustrasana stimulates and rejuvenates the nervous system. When practiced with awareness, Ustrasana pose develops the strength to deal with the stress. This asana trains the mind to remain neutral and balanced under adverse and tough conditions. The adrenal gland is toned in this Yoga pose also and hence once again a great yoga pose for depression. 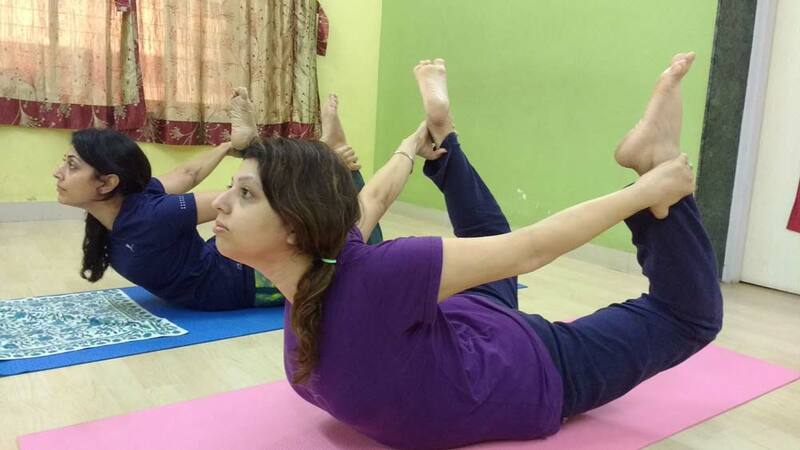 Shareer Sanchalanasana asana, also called Sukshma Vyayama, can be helpful when we find that the body of a person has become stiff or unwell, which is quite common in the case of depression. Nadi Shodhana Pranayama develops a balance between the two important energy channels Ida and Pingala. Kapal Bhati and Bhastrika have an energizing effect. Ujjayi has both a tranquilizing and energizing effect whereas the Bhramari pranayama has a great tranquilizing effect taking a practitioner into a very high state of concentration. Uddiyana Bandha and Mool Bandha can play a great role in depression management. 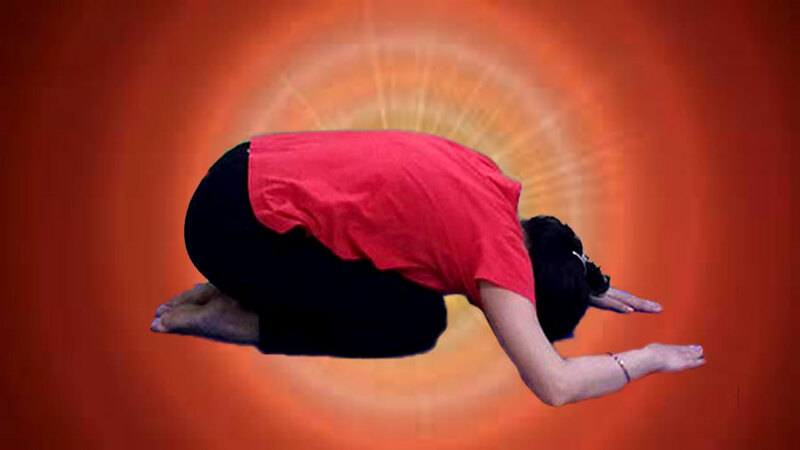 Uddiyana Bandha, which has a direct impact on Manipura Chakra (The Solar Plexus), the powerhouse of the body, is effective in reducing the feeling of emptiness, so often experienced by depressed people. It is of great help in managing post-natal depression, where the woman has physically ‘lost’ a part of herself. Moola bandha lifts energy and begins the process of bringing repressed experiences into conscious awareness. Generally the Jala Neti, the nasal cleansing, is done using a warm saline water, but here a cool saline solution can be recommended rather than a normal warm solution as a mild shock to the nervous system, in this case, will have an awakening effect on the brain, and the forced exhalations that follow after the Jala Neti will further have an energizing effect. The next cleansing practice Jala Dhauti, also called Kunjal kriya should be practiced only by those who do not experience anxiety symptoms as a part of the depression. It involves the drinking and vomiting out of a warm saline solution, which cleanses the stomach at a physical level. It is most valuable in the management of depression as it removes the energy blocks which are formed because of consistently repressed painful emotions. Yoga Nidra can play a vital in the yogic management of depression. It offers the possibility of respite from the incessant flow of negative thoughts. The use of a carefully chosen Sankalpa (the resolution) during the practice will help the practitioner to grow in strength and self-esteem. Further, the decision to dedicate 25 to 35 minutes daily to the Yoga Nidra which is a form of self-care is an important step in healing. It results in increased energy and reduced tiredness. When you do yoga, you become aware of your body and get disconnected from the external world. It makes you feel whole and connected. Yoga offers support and solace and the ability to live in the present. The unique mind-body approach of yoga is more and more becoming the choice to fight depression. It is holistic and long-lasting without any side effects.